Leepcr, Ed. "Belaying: The European Connection." Summit, 25, no. 4 (August-September 1979): pp. 11-29. -. "Belaying: Forces and Stopping Distances." Summit, 25, no. 6 (December-January 1980): pp. 6-13. -. "Belaying: The Occupational Hazards." Loughman, Michael. 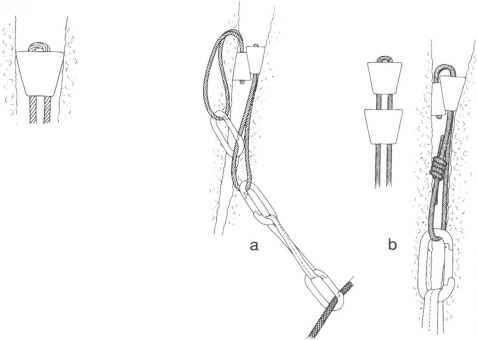 "Ropes, Anchors and Belayers." In Learning to Climb, pp. 64-104. San Francisco: Sierra Club Books, 1981. Steele, George. "Equipment Notes: Some Thoughts on Belaying." Mountain, 32 (February 1974): pp. 35-37.